Williams defeated her Bulgarian counterpart 6-1, 6-4 in the round of 64 on Center Court. She faces France's Kristina Mladenovic in the round of 32. [post_ads]Wednesday's match lasted 66 minutes. Williams is playing as the No. 25 seed at Wimbledon, after being unseeded at the French Open. She is currently ranked No. 181 in the world by the Women's Tennis Association. "It was better than my first round," Williams said in an interview after the victory. "I'm happy that I'm going in the right direction." While Williams was able to advance to the next round, several big names have fallen in the last few days. Second-ranked Caroline Wozniacki lost in three sets Wednesday to Ekaterina Makarova. Vitalia Diatchenko beat Maria Sharapova in three sets on Tuesday. Belinda Bencic also knocked out Carolina Garcia and Aliaksandra Sasnovich defeated No. 8 Petra Kvitova in the round of 128. Mladenovic beat Germany's Tatjana Maria 6-2, 6-2 in the round of 64. The 25-year-old is ranked No. 62 in the world and has never advanced past the quarterfinals of a Grand Slam. The last time she advanced to a quarterfinal, she lost to Switzerland's Timea Bacsinszky in two sets at the 20017 French Open. Williams and Mladenovic have faced off just once in singles play, with Williams winning in two sets in the round of 32 at the 2016 French Open. She also lost to the Williams sisters in doubles play at the 2012 U.S. Open. 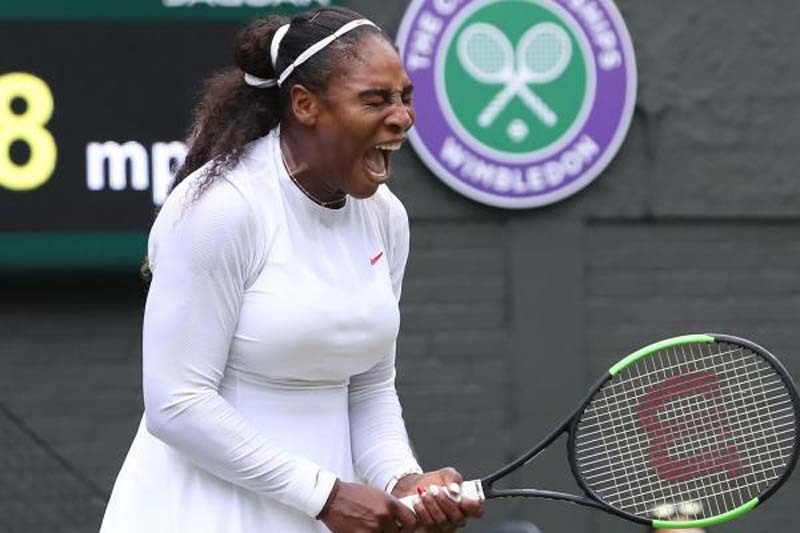 The women's final at Wimbledon is set for June 14 at the All England Club.